The Fujitsu TeamPad 7500 has been discontinued. No direct replacement is available. The TeamPad 7500 series offers the flexibility to perform barcode scanning, portable POS, gift registry, bedside point-of-care computing and many other operations in a wireless network environment. 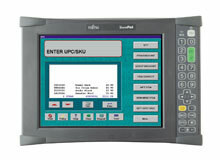 The newest member of the Fujitsu TeamPad family of handheld computers is a Thin-client device. 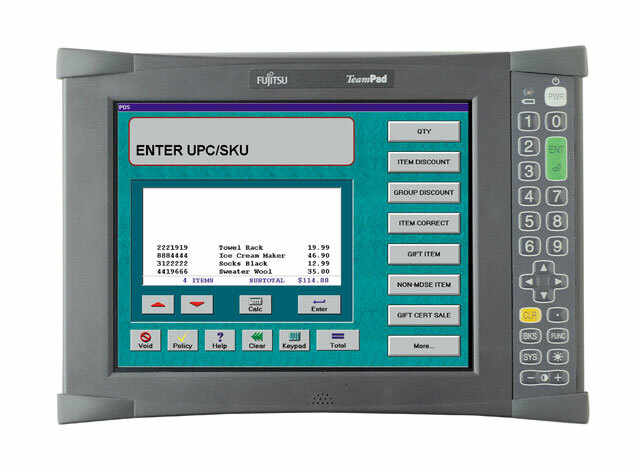 The TeamPad 7500 offers a large SVGA touchscreen and the flexibility to perform barcode scanning, Portable PoS, Gift Registry, and many other operations. 16MB RAM, 16MB ROM, 20 key keypad, color LCD display & Windows CE 3.0. Includes integrated scanner, charger stand & power supply.